Just five minutes from London Gatwick Airport,with free courtesy bus from 09:00-23:00. Gainsborough Lodge is the perfect choice for Gatwick accommodation or local business appointments set in 1/2acre garden.All rooms have en-suite and wireless internet access. London Victoria is 32minutes from local station (Horley) Free over night parking also long term holiday parking garaged or open air. 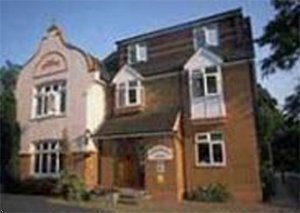 We have been providing accommodation for holidaymakers and businesses alike and with over 30 years experience we can assure you a good nights sleep and a hearty breakfast in preparation for the day ahead.